The cost-efficient trunked radio solution for professional mobile radio. XPT is a perfect digital solution to replace legacy LTR and analog systems without budget concern. Special promotions are available. To find out more ask your Hytera sales rep today for details or email sales@hytera.us. 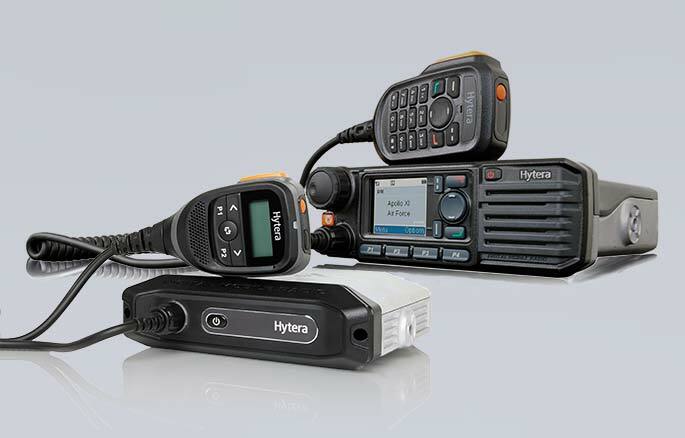 Hytera XPT is a cost-efficient and easily expandable mobile radio solution from Hytera based on proven repeater technology. 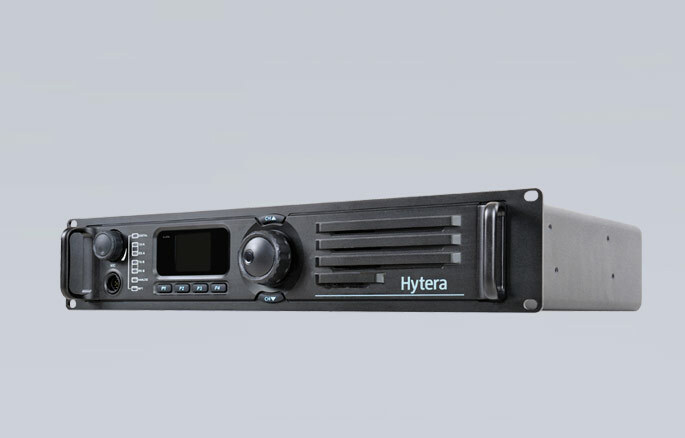 Based on the conventional DMR mobile radio, Hytera XPT is a distributed trunked radio system without centralized switching for demanding users. The XPT has intelligent technology that can assign each receiving radio to the repeater that initiated the call instead of clogging multiple repeaters. The automatic and dynamic process enables instant communication without interruption. Do you have an older analog system? You may be eligible for an upgrade! The XPT has intelligent technology that can assign each receiving radio to the repeater that initiated the call instead of clogging multiple repeaters. The automatic and dynamic process enables instant communication without interruption. Already have an XPT system? You may be eligible for an upgrade. In contrast to the classic trunked radio, Hytera XPT does not use any control channels. All available radio channels are utilized for the communication.On top of that, all channels are managed by the mobile radio infrastructure. The benefit: A manual channel selection at the radio is no longer required. 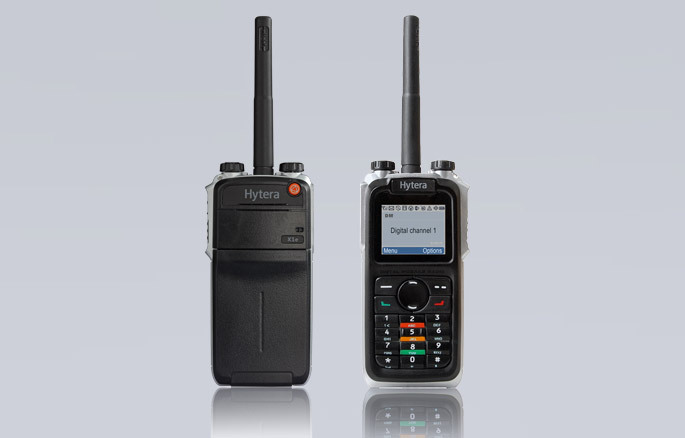 Free channels are automatically determined for call requests.As such, Hytera XPT combines the advantages of DMR Tier II with the mobile radio properties of state-of-the-art and powerful trunked radio systems. A single-site XPT system supports up to 8 carriers or 16 calls simultaneously which can easily provide service to over 1000 subscriber units at the same site. This system was designed with scalability to meet the needs of your growing user base. For a wide-area SMR network, 8 repeater sites can be inter-connected in the same network. Radios can roam seamlessly between sites without the radio user changing a channel.As such, Hytera XPT combines the advantages of DMR Tier II with the mobile radio properties of state-of-the-art and powerful trunked radio systems. The individual repeaters in the XPT system are connected with each other via an IP network. For this reason, you merely need IP switches and an antenna connection dimensioned for your purposes, in addition to the XPT repeaters, in order to set up your mobile radio system. PC hardware is not required for the mobile radio system because no centralized switching is used. If your requirements on your professional mobile radio should change, it enables you to quickly respond in order to increase your mobile radio capacity. To do so, you only have to expand your repeater site by additional repeaters and connect them to the IP network. 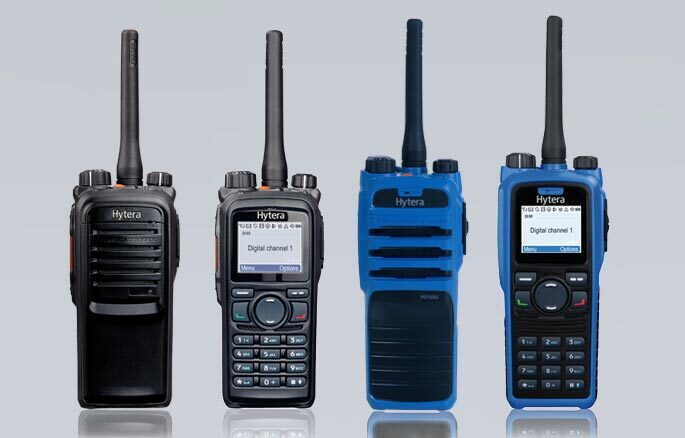 Are you already using conventional DMR radios from Hytera (DMR Tier II)? Then you are perfectly prepared! Your existing DMR radios and RD985s repeaters can easily be converted to XPT via a license upgrade. This keeps your investment safe and you do not have to purchase new radios. You will need at least RD985s repeaters, one IP switch and compatible DMR radios from Hytera. Furthermore, you need a corresponding license for using XPT with the RD985s repeaters. For the radios, no additional license is needed. Upgrade existing repeaters of type RD985s and compatible DMR radios. Connect the repeater with an IP switch. Import the XPT license into the repeaters and configure the DMR radios for XPT operation. In addition, you can access the Hytera dispatcher SmartDispatch within your XPT mobile radio system. TDMA technology splits a physical 12.5kHz channel into two timeslots, which means you get higher capacity of users per channel with less infrastructure. A Single site XPT system supports up to 8 carriers, or 16 calls simultaneously. This was designed to scale meet the needs of your growing user base. Hytera XPT Digital Trunking system supports two-level failsafe control, meaning that if one or more repeaters fail, the system will continue to operate in trunking mode. If the IP switch fails, the repeaters will automatically revert to digital conventional mode. Pseudo Trunk, a Hytera patented technology, allows the radio to scan time slots on a repeater and dynamically choose an open time slot to initiate the call. This means less wait time as compared to users who are fixed to a specific time slot. The XPT system broadcasts the availability of channels throughout every repeater, ensuring the user will have a guaranteed channel to initiate a call. Due to the use of the Free Repeater dynamic process, no designated Control channel is needed, resulting in instant communications, with no interruptions and constant busy signals. Updating the license for repeaters and configuring all devices. In contrast to the classic trunked radio, Hytera XPT does not use any control channels. 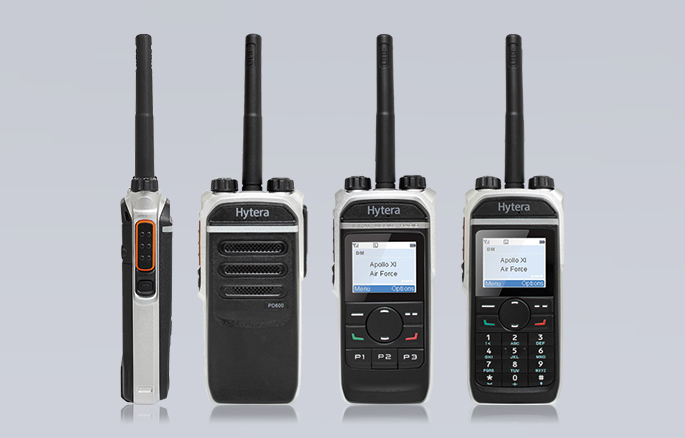 Are you already using conventional DMR radio from Hytera (DMR Tier II)? Then you are well prepared! The individual repeaters in the XPT system are connected with each other via an IP network. One XPT cell can consist of up to 8 repeaters, thereby providing up to 16 communication channels. Hytera offers you a complete portfolio for your XPT mobile radio system: From infrastructure via mobile radios up to applications – you can compile your individual solution. The DMR repeater is the core of XPT. With their lightweight metal housing, the handheld mobile radios of the PD6 series are your ideal companion. Robust handheld radios for use in harsh environments. Robust handheld radios with particularly slim form factor. Compact mobile radios with numerous features. 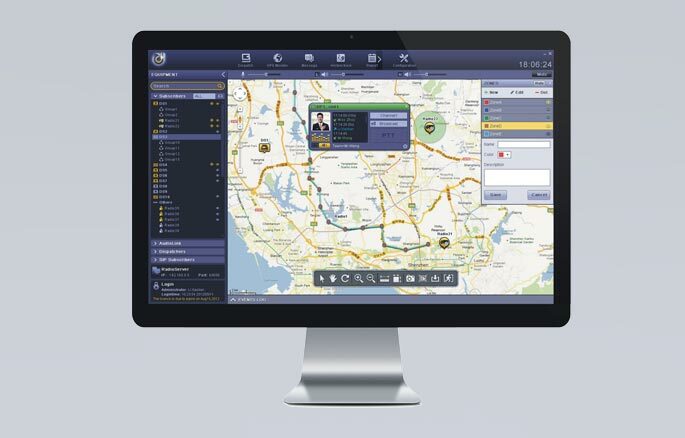 SmartDispatch supports you in managing and directing the subscribers in the XPT mobile radio system. All content provided on this Hytera America blog is for informational purposes only. The owner of this blog makes no representations as to the accuracy or completeness of any information on this site or found by following any link on this site. The owner of this blog will not be liable for any errors or omissions in this information nor for the availability of this information. The owner will not be liable for any losses, injuries, or damages from the display or use of this information. Unless expressly indicated otherwise, the trademarks used on our website are protected by trademark law. This applies in particular to Hytera and Hytera America trademarks, company logos, and equipment photos. This website does not grant a license to use the intellectual property of Hytera and Hytera America or of third parties. The content of these pages may not be copied for commercial purposes, nor may it be circulated, modified or made accessible to third parties for commercial purposes. Comments to this blog cannot be used to place orders or to become an authorized Hytera dealer. To purchase Hytera products, please contact us at 800.845.1230 to be placed in contact with your local Hytera authorized dealer.